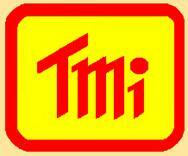 Power Analyser | Test and Measurement Instruments C.C. Power Analyser. Multifunction's: Watt, VA, Whr, Power Factor, ACV, ACA, DCV, DCA, VAr, Hz, ohm. True Rms Watt, RS232, Direct Amps and Inductive clamp probe. Notes on Power Quality Analyzers. Power quality analysers or Power Quality Meters like Fluke 435, are Test Equipments capable of Power Measurements for Power Monitoring and also to monitor electrical power parameters avoiding disturbances, track steady-state variations, and ensure the reliability of power distribution systems. Disturbances are measurable events that are triggered by abnormalities in voltage or current. Steady-state variations compare changes to normal values and are measured by sampling voltage and/or current levels over time. To track disturbances and steady-state variations, power quality analyzers present information as individual events, trends, or statistical summaries. Examples of individual events include voltage spikes and brownouts. Power quality analyzers can also measure transients such as primary magnitude, time of occurrence, and rate of rise. Some devices are powered by the system being tested. Others use battery power. Power quality analyzers with integral AC current clamps are also available. Fluke Multimeters and others can be used for very Basic Electrical Measurements. Frequency disturbances can be seen on Spectrum Analysers. Power quality analyzers track several electrical and power parameters. Electrical parameters include AC voltage, AC current, and frequency. Power parameters include demand and peak demand. Demand is the actual amount of power that the monitored system uses. Peak demand is the maximum amount of power that can be used. Typically, power parameters are measured in watts (W), volt amperes (VA), and volt ampere reactives (VAR). Watts are units of electrical power that indicate the rate of energy produced or consumed by an electrical device. Volt amperes equal the current flowing in a circuit multiplied by the voltage of that circuit. Volt ampere reactives identify the reactive component of volt amperes. There are several power quality parameters for power quality analyzers. Root mean square (RMS) voltage is obtained by dividing the peak voltage by the square root of 2. Similarly, RMS current is obtained by dividing the peak current by the square root of 2. Current and voltage harmonics can cause problems such as the excessive heating of wiring, connections, motors, and transformers. Harmonics can also cause the inadvertent tripping of circuit breakers. Total harmonic distortion (THD) is a percentage of the total output RMS voltage. Other power quality parameters include power factor, the ratio of actual power to apparent power. Another parameter, K-factor, is a numeric value that accounts for both the magnitude and frequency of the component of a current waveform. Typically, K-factor is used to indicate whether a full-rated transformer is designed to handle non-linear loads. Data interfaces for power quality analyzers include general-purpose interface bus (GPIB), universal serial bus (USB), RS232, RS485, and Ethernet. GPIB is designed to connect computers, peripherals and laboratory instruments so that data and control information can pass between them. USB is a 4-wire, 12-Mbps serial bus for low-to-medium peripheral device connections to personal computers (PCs), including keyboards, mice, modems, printers, and monitor controls. Ethernet is a widely used local area network (LAN) technology that specifies how data is placed on and retrieved from a common transmission medium. Power quality analyzers that can convert digital to analog signals are also available. 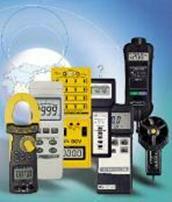 Other instruments that can offer basic usable readings are: Voltmeters, Ammeters, Fluke Power Quality Analysers. Power Analyser,3 Phase. True RMS Voltage & Current, True Power (KW, MW, GW), Apparent Power, Reactive Power, Watt-Hour, Power Factor, To 600V, To 1200A. FLUKE Power Logger. 3 phase, Colour display, Records and Displays all critical parameters, Harmonics. C/W 4 x Flexible current probes, software, cable. Click for FLUKE Power Quality Prices and specs. Power Analysers for measurement of all electrical parameters in both single phase and 3 phase systems, 4 wire Star & 3 wire Delta. Power Quality Analyser. 5” Colour Touch Screen. Measures, monitors , Displays - Harmonics, Dips, Swells, Energy. Supports 8GB microSD with Scope, Phasor Diagram etc.